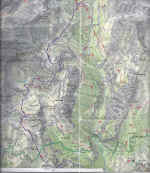 This is a quite tiring itinerary in terms of the difference in height and the time required (1,344 m., about 7 hours). It goes through totally unspoilt scenery where traces left by humans date back centuries. 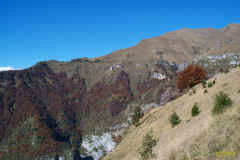 From Seo (outlying district of Stenico in the Giudicarie Valley, 832 m.) you come to the Al Cacciatore Refuge. Take path 348 along the Angol Valley which goes across the Salti peak to the slopes of Monte Brugnol and Monte Pizzo via the Malga Valandro (1,871 m., ruins) and with to the east the rock spurs of the Valandro and Ghirlo mountains which bound the parallel Inferno Valley to the west. Carry on between the Castioni, Salvin and Binde peaks and over the Selletta del Monte Piz saddle (2,148 m.) to start the descent, still in a northerly direction, towards the Malga Sgorbia (2,006 m.). 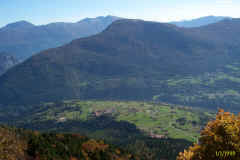 To the west rises the Castello dei Camosci peak. Passing to the east of the Dos Tondo, continue on towards the lake and the Malga Asbelz (1,956 m., renovated in 1994, open during the day all year round). Here the path is joined by path 349 coming from Baesa. Carry on in a westerly direction towards the Malga Senaso di Sopra, which you come to after crossing the Colmalta pass and after following in a northerly direction the ridge of the Maruggini and the Busa di Senaso hollow. With the Tosa de Stoi and Corno di Senaso peaks to the west, cross the Prà del Vescovo meadow, passing to the east of the Dos della Mandra mountain. 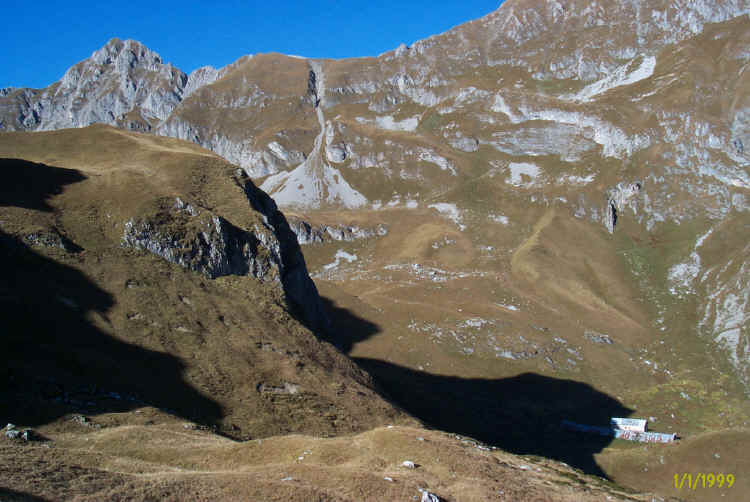 From here the path runs to the Malga Prato di Sotto (638 m.) and from here to the Al Cacciatore Refuge (1,820 m.). From the Al Cacciatore Refuge it takes about 80 minutes to get to the Agostini Refuge. If you wish to return along the valley you are advised to go along the Ambiez Valley as far as Baesa along path 325; it then takes about 25 minutes to go from Baesa to San Lorenzo in Banale. From San Lorenzo you can get to Seo by public bus. If however you wish to get back to your car parked in Seo, then take the low road towards Dorsino until you meet path 349b (Garda-Dolomiti path). Follow this path as far as the main road no. 421. Carry on along this road for about 1 km as far as Tavodo where you take the San Vili path which goes through Seo. Description: long and tiring itinerary through unspoilt scenery. Better and less tiring if used to go downhill rather than up.